If you’re looking for something less formal than the typical classical music for your wedding ceremony, Mark Schuler can provide a contemporary theme as an alternative to the classical approach. His instrumental songlist has been tailored to the most popular requests by the bride and groom, and he is always willing to learn that special song for the new couple. 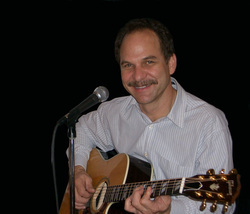 As well as ceremony music, Mark also offers vocal music for your Cocktail hour or reception. He can be upbeat and entertaining or provide background ambience for your special event. If there are speeches and toasts to be made he will gladly extend the use of his microphone and PA system. No power? No problem! If you’re having a ceremony on the beach, where there is no electricity, Mark can provide a battery-powered PA system and be heard over the background sounds of the wind and surf. Instrumental guitar music to create the perfect ambiance for your ceremony.